Among the rubicund grasslands to the forests of Roan, a quest begins at the onset of royal betrayal. The fate of Roan rests on the hermit mage, Pyrus, who has singular powers but is loathe to help. Yet, the susurrus words of the ancient Gods have promised that he will be instrumental to their plans. Their entreaties show him the nature of their magic. He must first avow to create the soldier, and he must also protect the Lady. 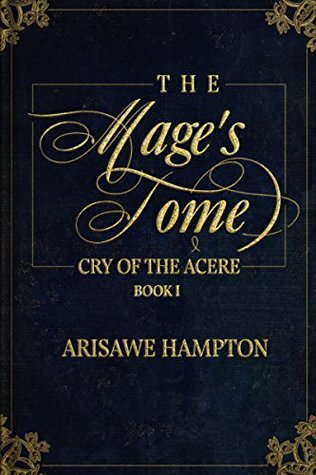 The debut epic Duology The Cry of the Acere, from Arisawe Hampton, is a new addition to the fantasy tradition of Brandon Sanderson, Raymond Feist and K.F. Breene. My Review: This was a great book with a wonderful story. I really loved the characters and the way the author wrote it it made this very unique. You could really tell how much work went into this story. The story itself was funny at times but overly so. The mage aspect in this story was very interesting and worked well and the twists in this one caught me off guard. I never know if an indie book is going to work or not as there are so many out there that are well just trash I am sorry to say. But this one was new, fresh, and really good!